For those basket bag lovers out there (that would be me! ), Caterina Bertini offers up a winter-ready version: a chunky-knit straw tote, complete with velvet ribbon handles. Too cute! I'm also besotted with her wool knit bucket bag, her Chanel-spirited shoulder bag, and chunky knit pouch. All under $120! So cute! 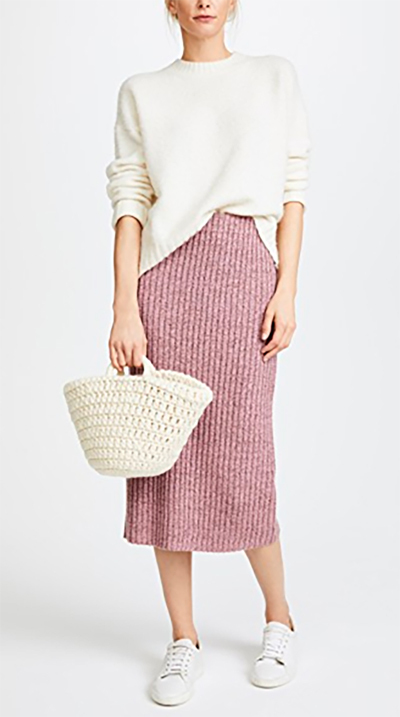 Love this knit style!